I am often queried for good but affordable restaurants in Tokyo. One of my favorites for lunch is Nihonbashi Yukari with 2002 Iron Chef winner Kimio Nonaga. The basic lunch starts at about 2,000 JPY (around $20 USD). If you want to splurge, the Yukari bento, an uspcale bento, is about 3,675 JPY (about $35 USD). 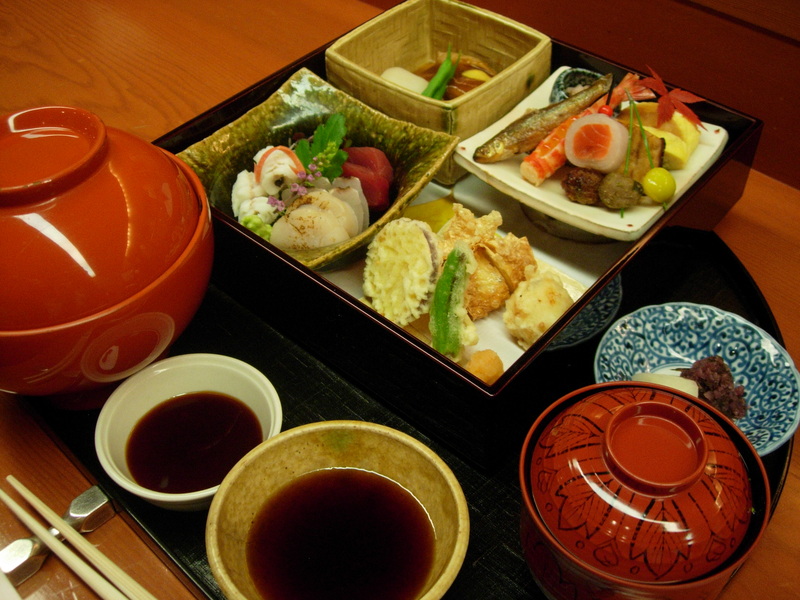 Here is the Yukari bento, a large meal, complete with tempura, sashimi, a simmered dish, and more. 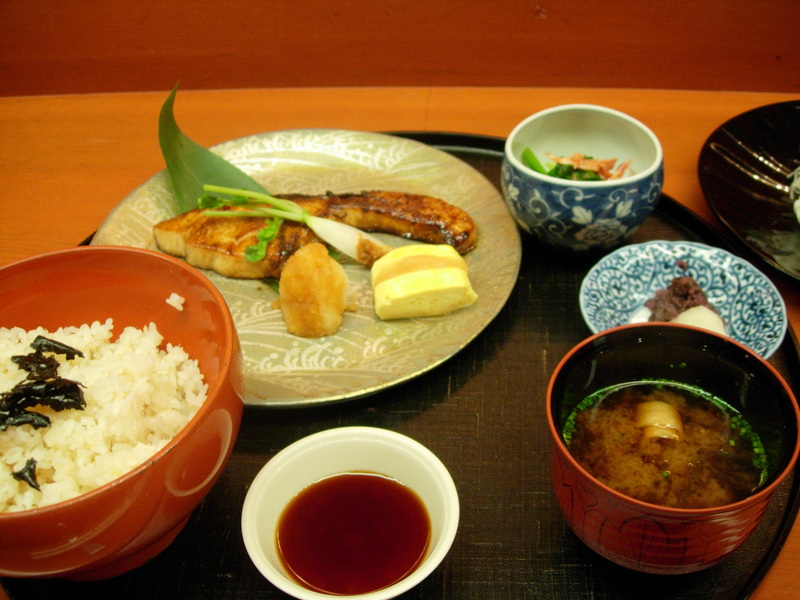 This is a basic lunch of a grilled fish, side dish, pickles, rice, and miso soup. Nihonbashi Yukari is a short distance from Tokyo station, and very close to Takashimaya department store. 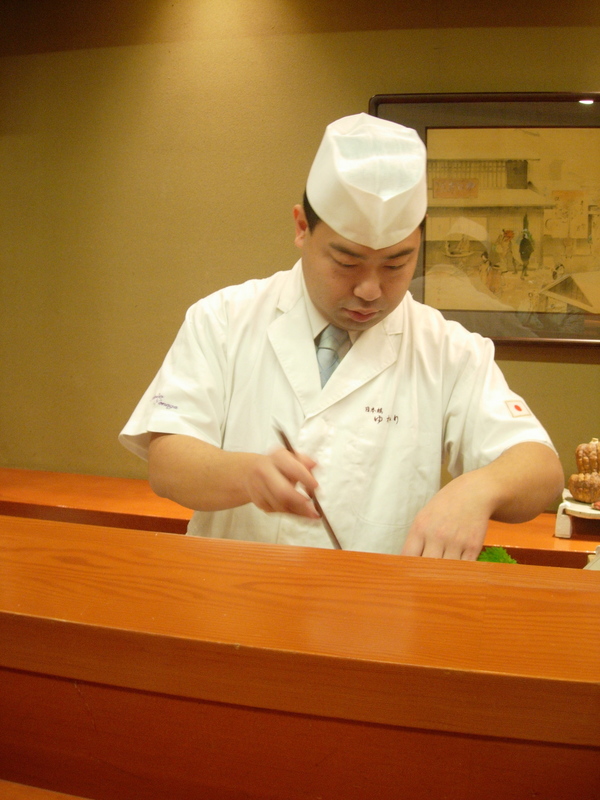 Chef Kimio Nonaga is often behind the counter. Dinner is also quite reasonable for kaiseki cuisine. I believe it starts at about 10,000 JPY. If you go, tell him Yukari sent you!